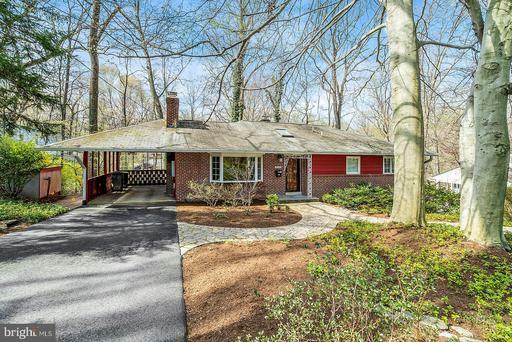 This fully remodeled midcentury rambler, recently named by The Washington Post as a "House of the Week," provides a perfect setting for quiet relaxation or grand entertaining. 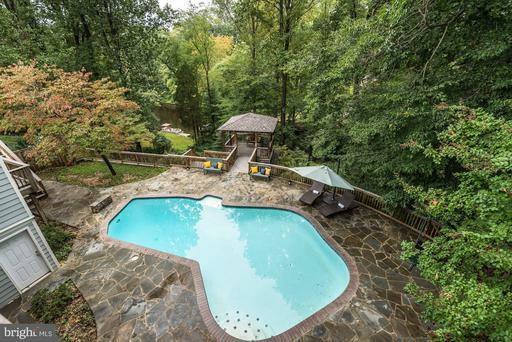 It offers a thoughtfully updated interior with light-filled spaces and is ideally suited for outdoor living with an expansive pool area, multiple decks, and a gazebo overlooking this peaceful lakeside setting. All this just 6 miles to Washington, DC and Amazons HQ2. 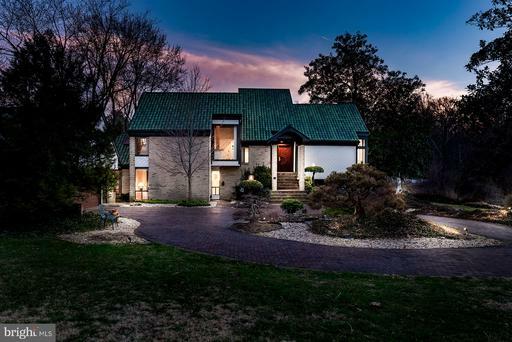 Spectacular lake views from 3 stunning levels! Unique 3-4 bedroom, 3.5 bath home boasting over 3,500 square feet of living space. This fully-renovated home has a dramatic 2-story foyer and living room and is loaded with custom upgrades and features including gleaming hardwoods on entry and main levels, new carpeting on stairs and upper level, a plethora of windows, soaring ceilings, fresh paint, a kitchen with gorgeous granite counters, stainless steel appliances including new 4-door refrigerator, and breakfast nook opening to main level deck with lake views. The elegant dining room opens to expansive deck and private back yard. There~s also a butler~s pantry and wine bar with full-size SubZero wine fridge, an expansive master bedroom suite with a wood-burning fireplace, California Closet system and spacious walk-in dressing room!~ Fully-fenced landscaped lot with koi pond, stone patios and oversized circular driveway! 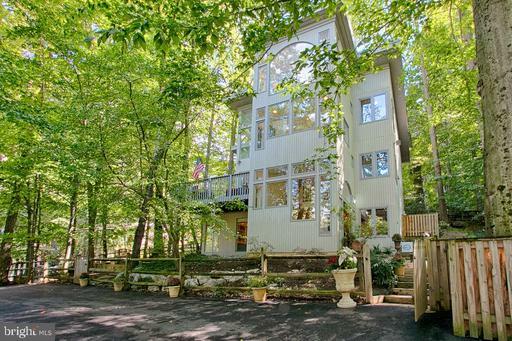 Lake Barcroft offers vacation living inside the beltway! 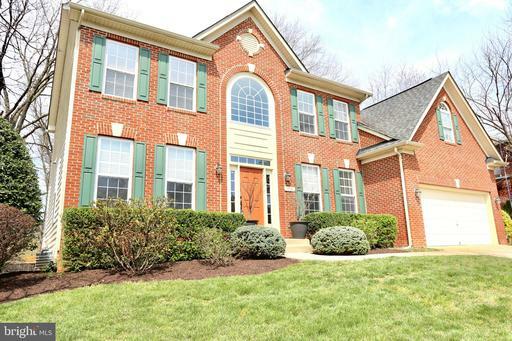 Welcoming community just minutes to DC, Arlington, Tysons, easy access to commuter routes! Lake Barcroft New Price! Updated Expanded! 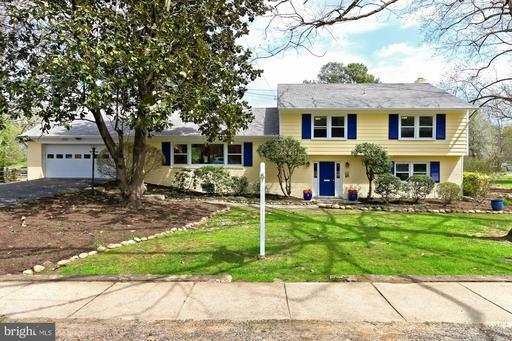 This charming 4BR/2.5BA home boasts winter lake views and features: Updated kitchen with granite and stainless steel appliances. Hardwoods throughout main and upper levels. Main-level family room with sliding doors opens to back yard; spacious dining room and office addition. Lower-level rec room with wood-burning fireplace, half bath and loads of storage. Private fenced backyard abuts to parkland! Lake Barcroft is a welcoming community offering 5 sandy beaches, swimming, fishing and boating. 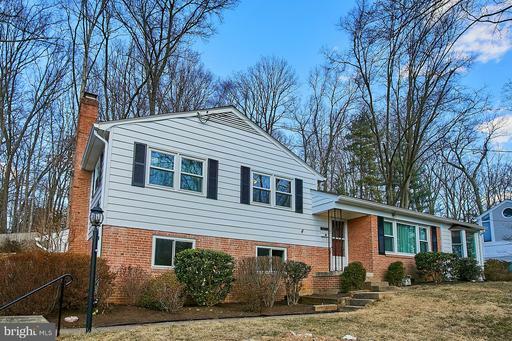 Easy access to major commuter routes and just minutes to Tysons, Arlington, and Washington DC. 7 results for: va active "Lake Barcroft"